Our xprs-px-x16 product allows using of PCI Express -x16 cards, outside of computer systems through cables. For details on the way of use, you can check this article . Number of our customers, interested in using this product, asked technical details. The xprs-px-x16 allows using of a PCI Express -x16 card, through -x1 link and cables. In general, one -x16 card, has 16 transmit and 16 receive pairs/lines. One -x1 card, has 1 transmit and 1 receive pair/line. Theoretically a -x16 card has to be 16 times faster than one -x1 card. PCI Express interface allows the work of a card, using the smaller number of transmit/receive pairs. This article compares the speed difference when the same -x16 card works using all 16 transmit/receive pairs, and when the card works using 1 transmit/receive pair. PCI Express -x16 card normally is mounted on a desktop motherboard. The above image is a very simplified representation of mounting. 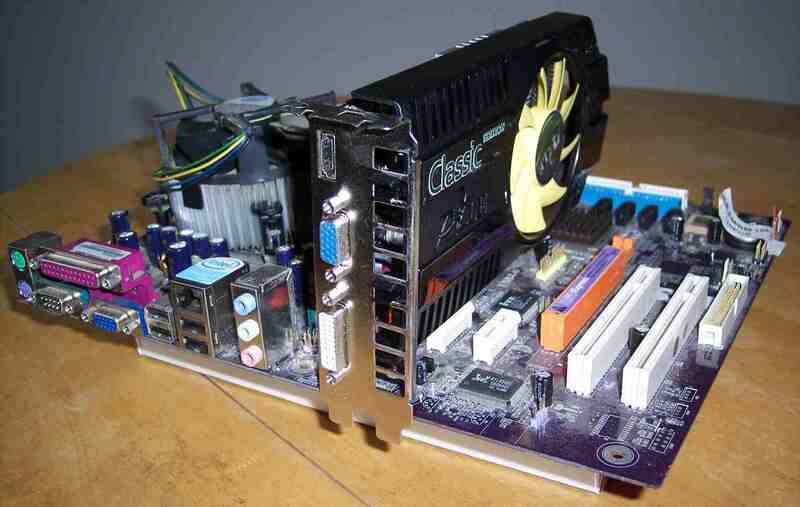 A desktop motherboard is normally mounted in a box, hooked to a power supply ... etc. 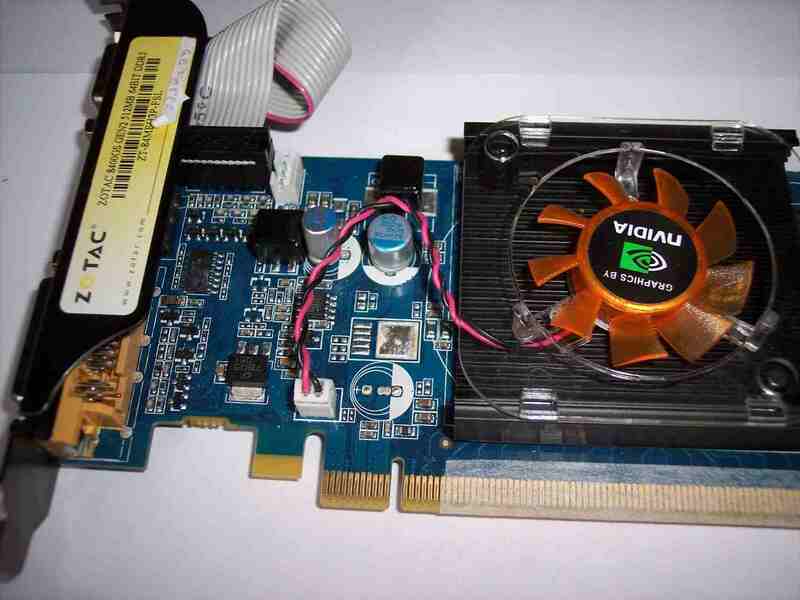 The image below shows the same video card mounted on our xprs-px-x16 product, connected through 1m cables, to xprs-host-dt mounted on the same motherboard. The above image is a also simplified representation of mounting. The xprs-px-x16 product has to be connected to a power supply in order to power on the PCI Express -x16 card. 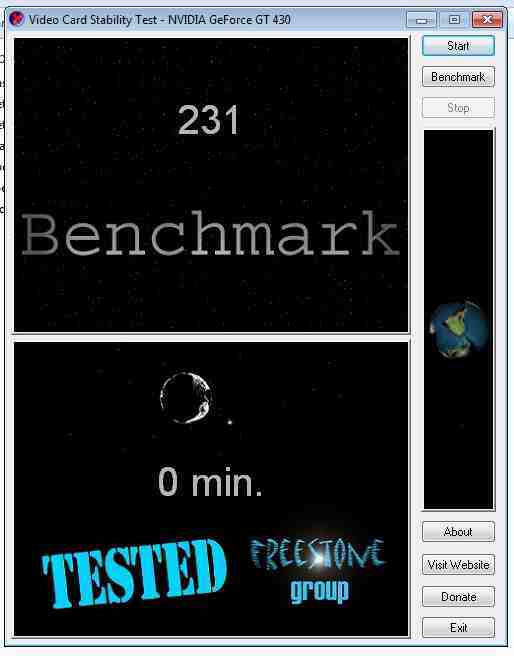 The Freestone-Group test software (image above) is only for benchmarking video cards and gives a single score as the end result. 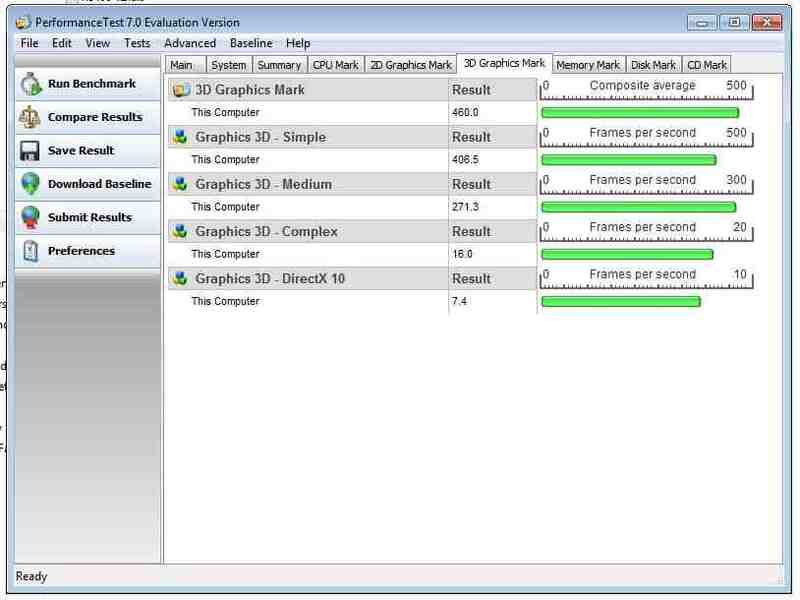 The Passmark test software (image below) is for general benchmarking of a system, includes 2D and 3D tests for video cards, and gives separate scores for the each of the sub-tests. The Freestone-Group mix of tests like the above show a very small difference between -x16 and -x1 mode. Graphics 3D - Complex:             14.7    2.3   84.3% !!! Graphics 3D - Complex:               16.0     4.0  75.0% !!! The tests show a very small difference for the 2D Graphics tests. A large difference appears for the Complex 3D Graphics test. However the larger the video memory is and the better/faster the GPU - the gap between -x16 and -x1 modes gets smaller. Conclusion - a PCI Express -x16 card placed in '-x1' mode is getting most of the performance, and may be good enough solution in case of using a peripheral card outside of a computer system, through a cable. 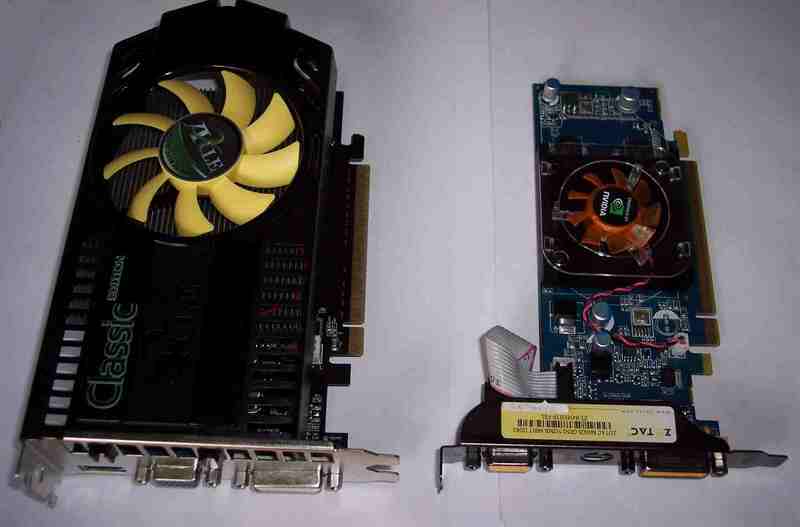 While we did test with 2 video cards, they are most likely different your own video card(s). If you are curious about what the difference is between -x16 and -x1 modes for your video cards, there is a way to find this. The PCI Express connectors have compatible pin-outs - with the signals on the pins on the -x1 connector identical to the respective pins for the part of the -x16 connector. In practice this means that you can plug one -x1 card into a -x16 connector an it will still work. 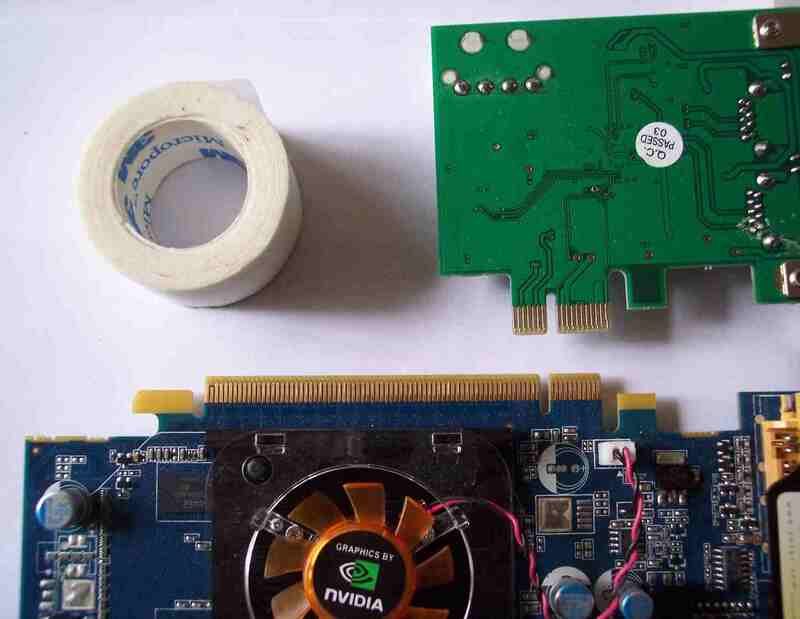 The opposite is also true - using a tape, you can cover the additional pins of one -x16 card, and leave exposed only pins matching -x1 connector. 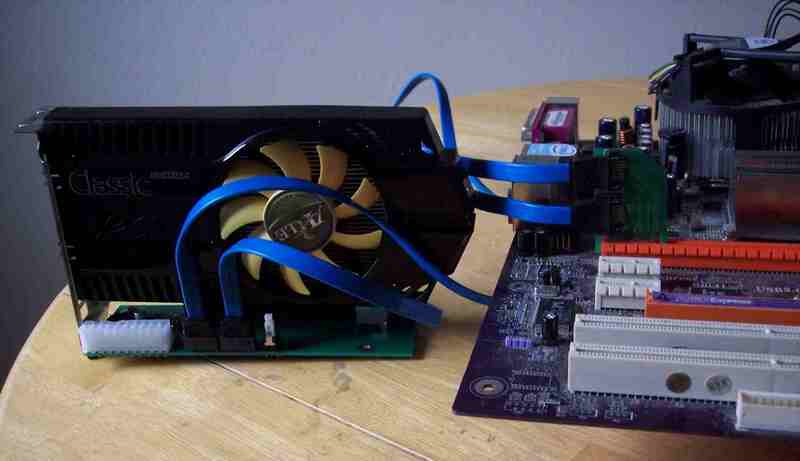 When you plug a -x16 video card prepared in such way in a motherboard, it will be forced to operate in -x1 mode. Then you can run some of the above tests or any other test you like. After testing, when the tape is removed, please make sure the pins on the -x16 card are cleaned with alcohol or other solutions.